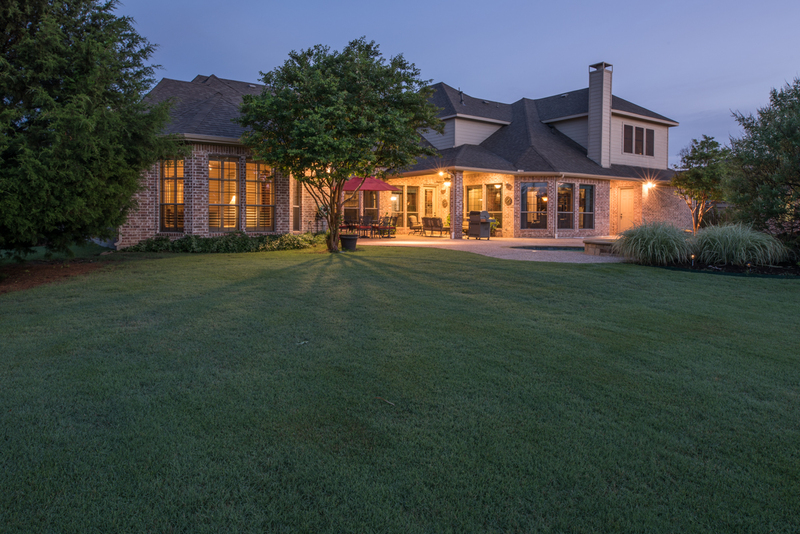 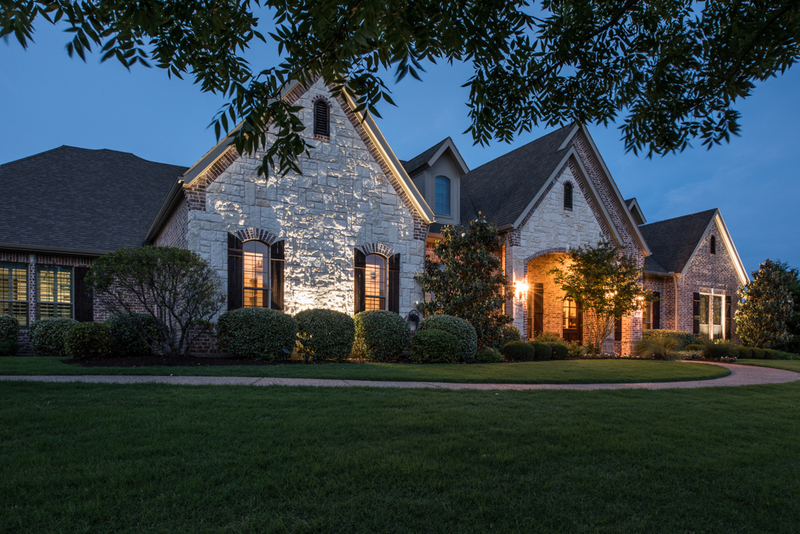 A charming Paul Taylor two-story brick home and coordinating detached garage/workshop is positioned on an expansive acreage surrounded by professionally planned and maintained landscape beds filled with manicured shrubs and flowering plants. 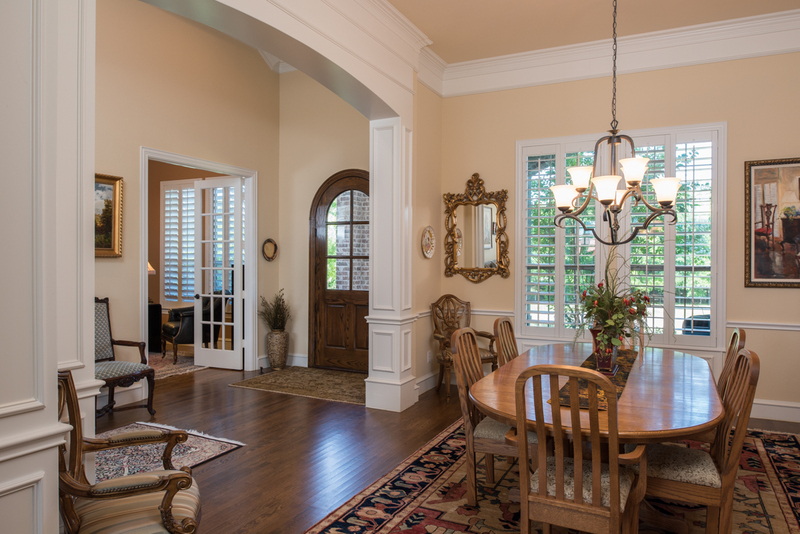 The welcoming Entry features a richly stained arched front door with decorative windows that provide the space with natural light. 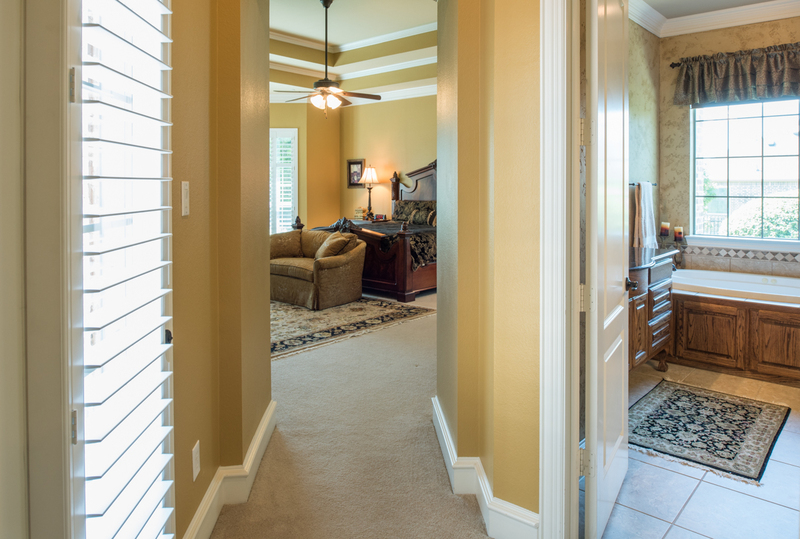 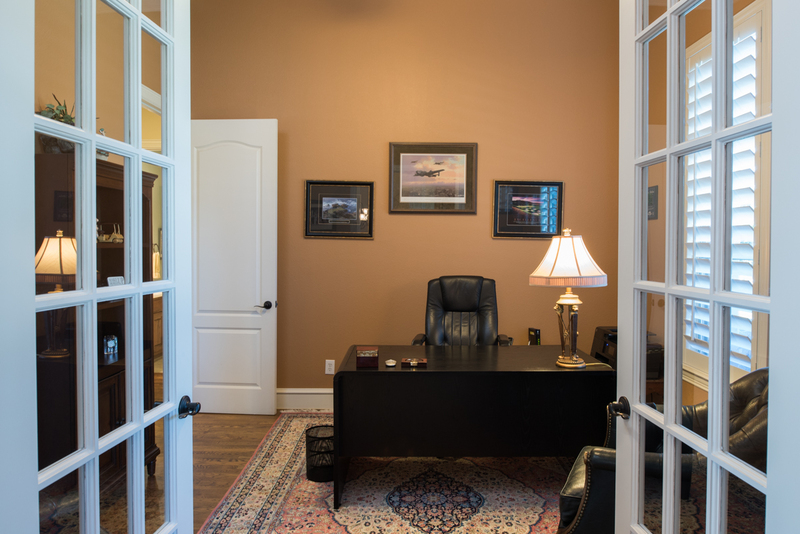 The Entry also offers luminous hardwood floors, heavy trim and moldings, and stylish light fixtures. 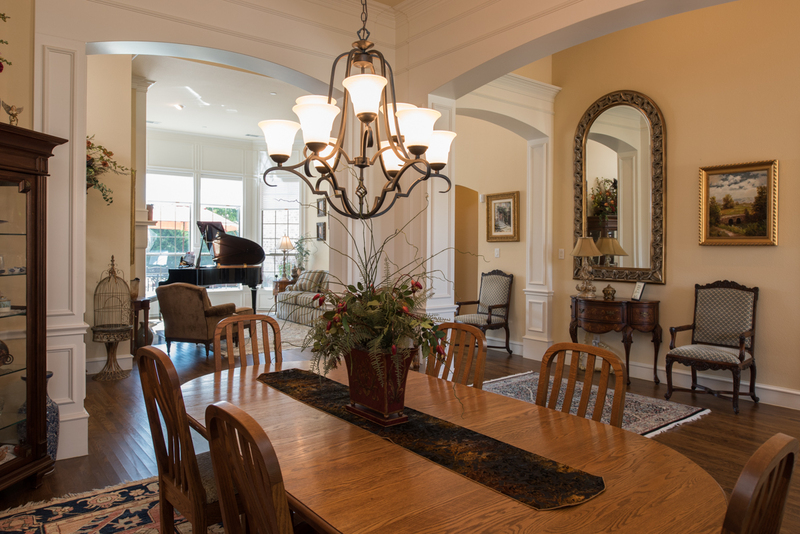 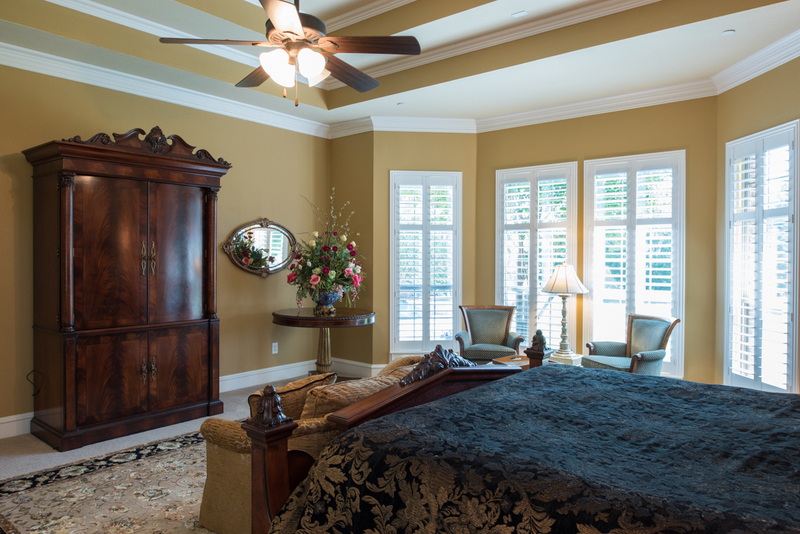 The Formal Dining Room offers hardwood floors, elegant trim and moldings, and a stylish chandelier. 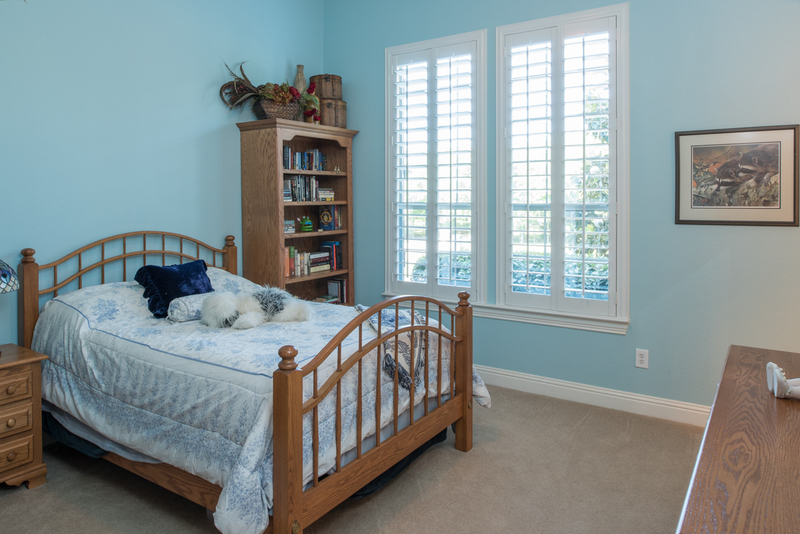 Large shuttered windows overlook the front property. 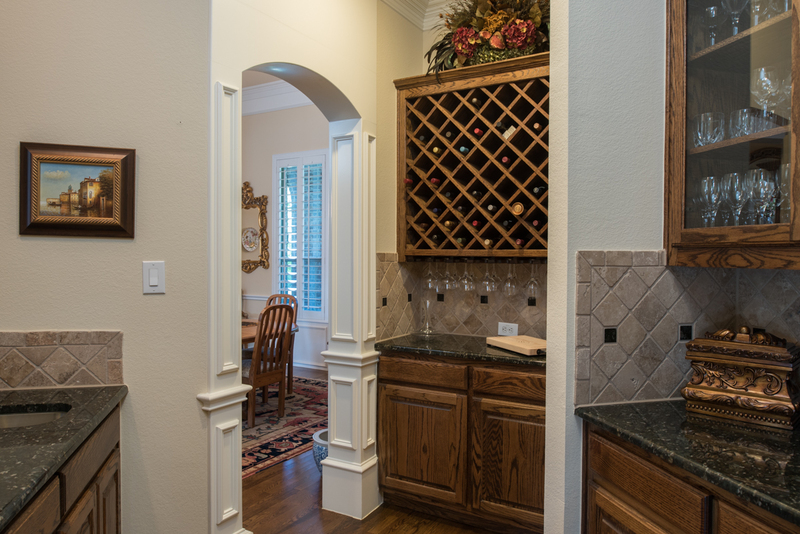 An adjoining butlers Pantry/Wet Bar with stained custom cabinetry and granite surfaces is conveniently located between the Kitchen and the Formal Dining Room. 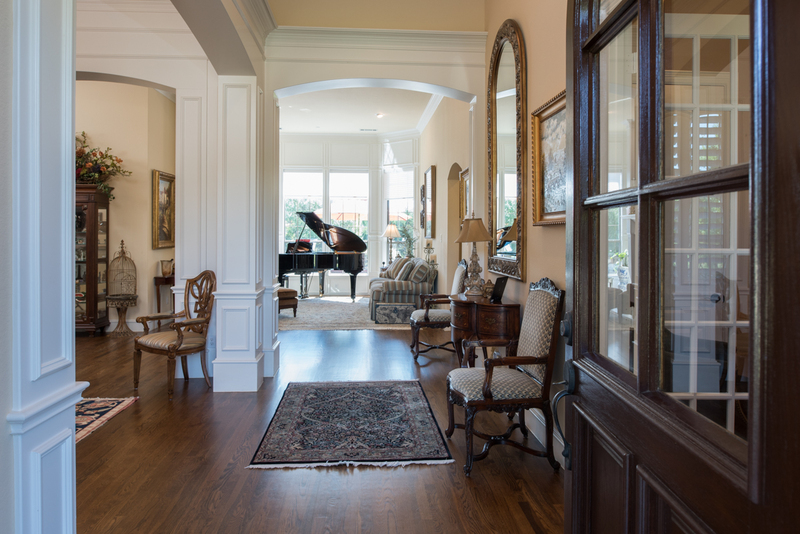 The Formal Living Room has hardwood floors, large windows with panoramic views, and an impressive fireplace with a custom millwork double mantelpiece. 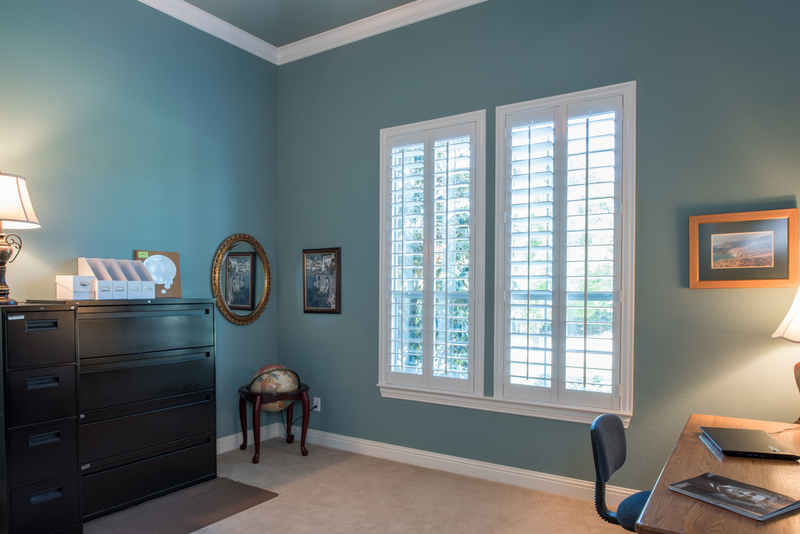 The private Study features French doors, gleaming hardwood floors, on-trend wall paint, and large shuttered windows for natural lighting and even more views. 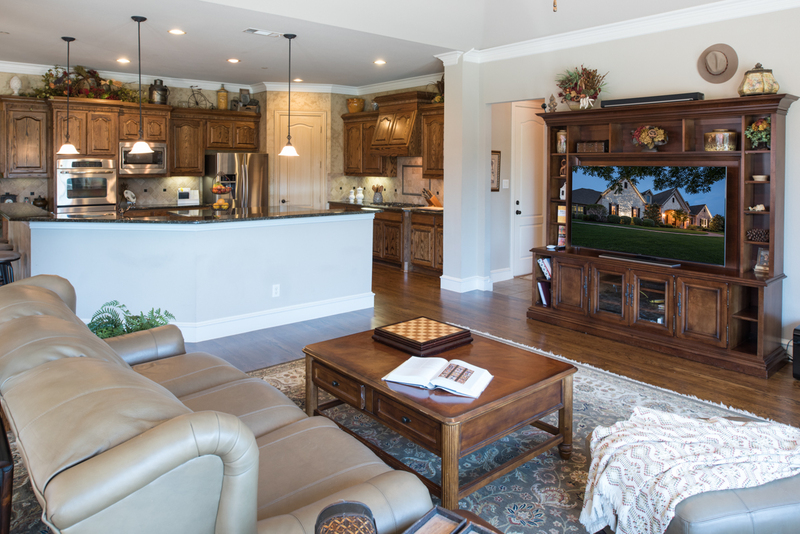 The spacious open-concept Great Room flows into the Kitchen and Breakfast Nook and features hardwood floors, on-trend wall paint, large windows overlooking the Patio and pool area. 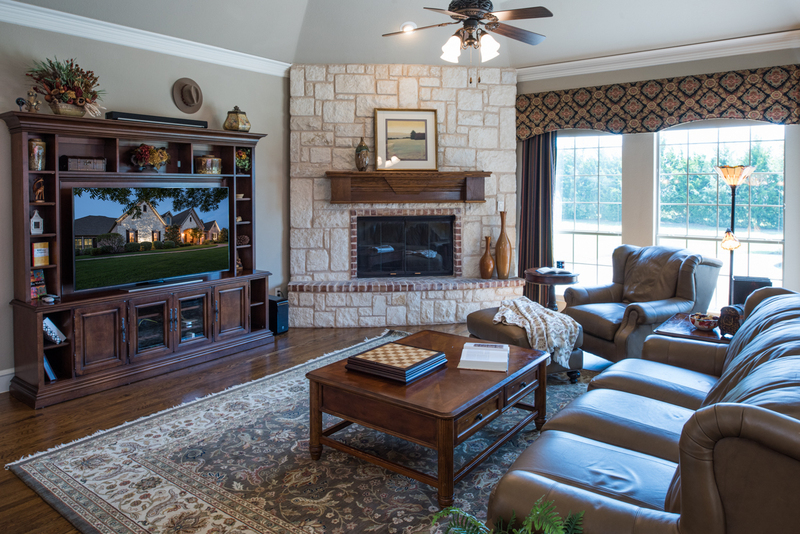 This room offers a rustic stone fireplace with brickwork accents and a custom mantelpiece. 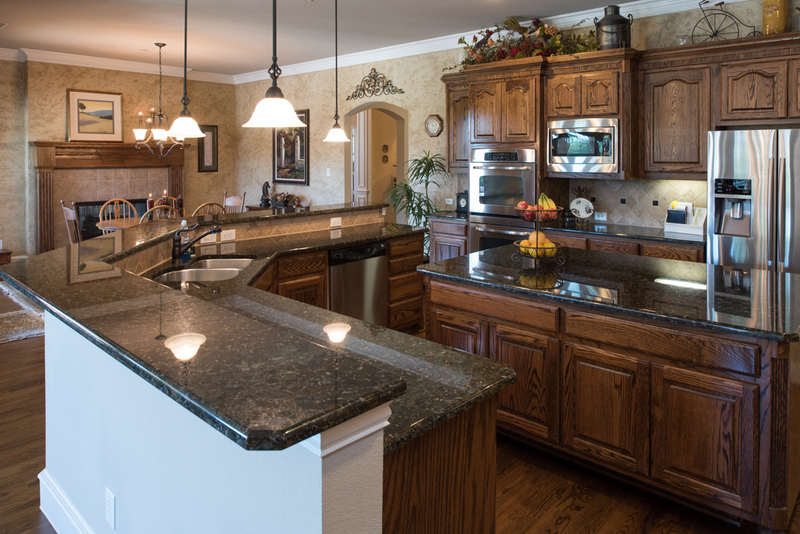 The spacious Kitchen has hardwood floors and a custom textured wall treatment, top-quality stained cabinetry with gleaming granite surfaces and a stylish ceramic tile backsplash. 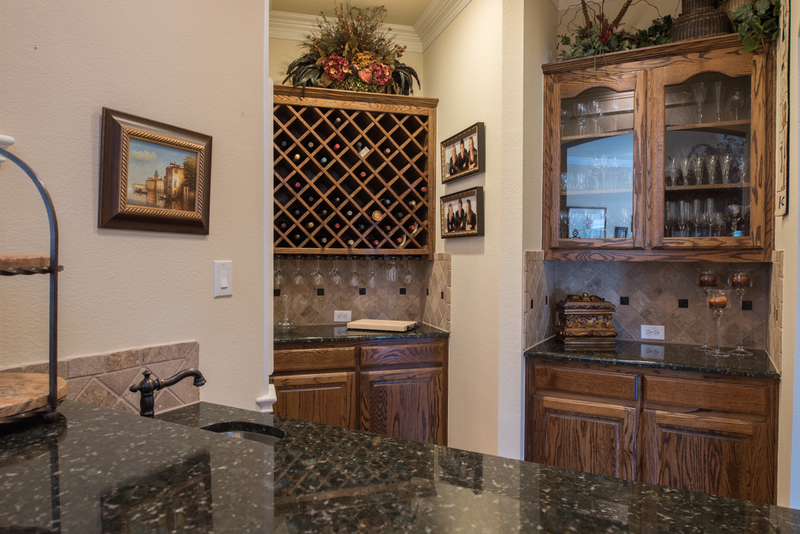 The space features top-quality stainless-steel appliances including a gas cooktop. 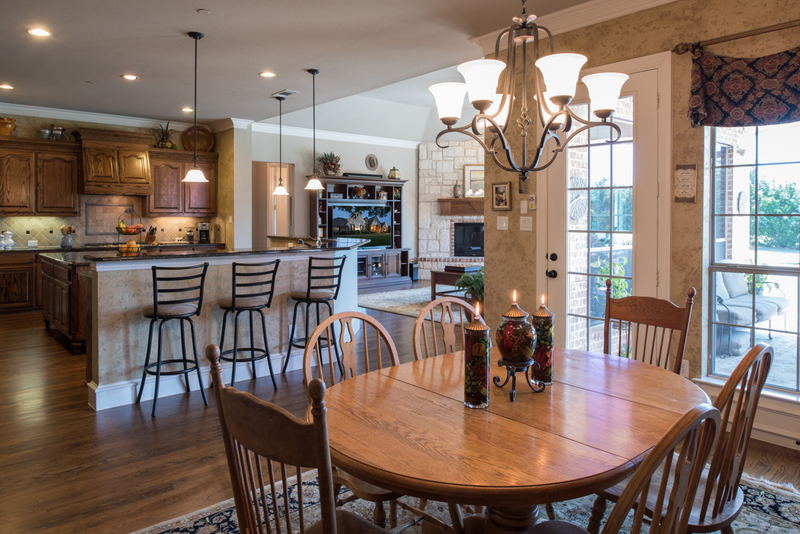 A huge center island with custom cabinet features, and a sit-at breakfast bar with decorative light fixtures above. 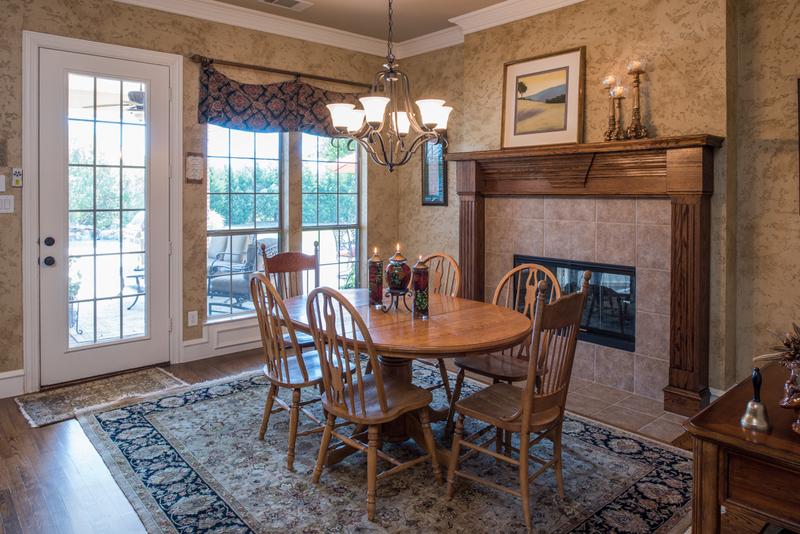 A windowed Breakfast Nook adjoins the Kitchen and Great Room and features custom wall treatment and hardwood floors, along with a cozy fireplace with stained mantelpiece, decorative lighting, and pool and Patio access. 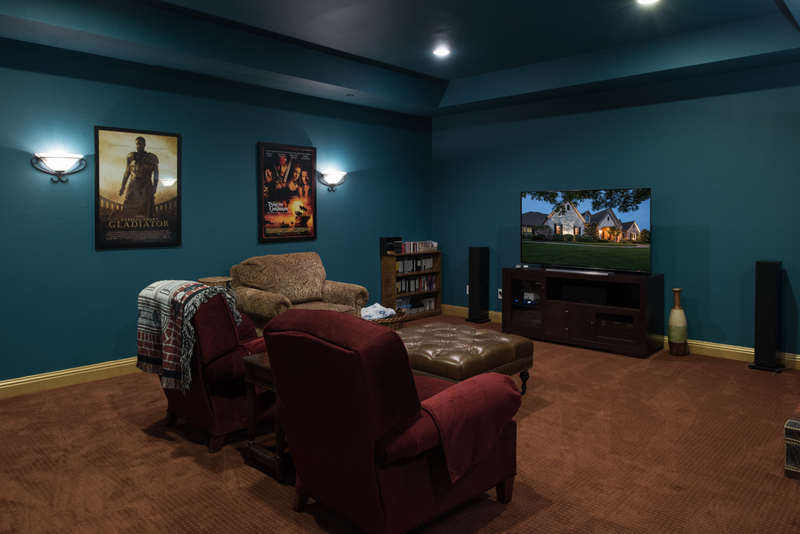 The main floor windowless Media Room offers premium woven carpet, on-trend wall paint, and a tiered ceiling element, along with decorative lighting. 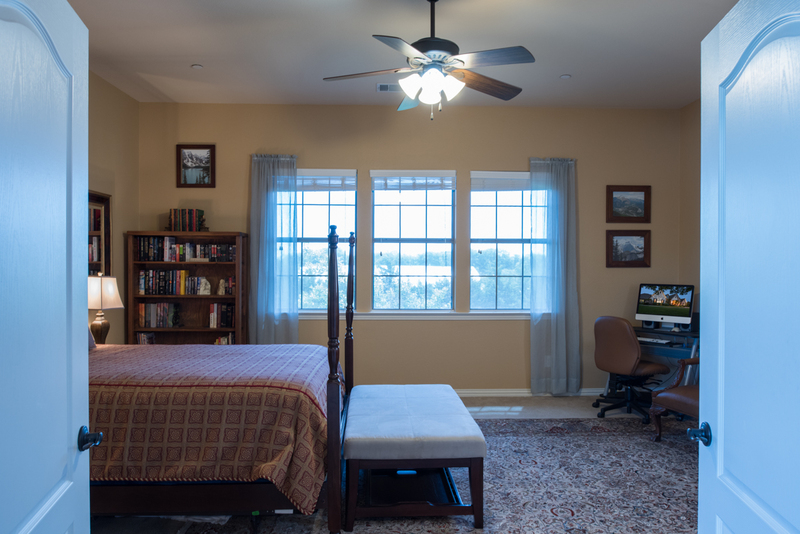 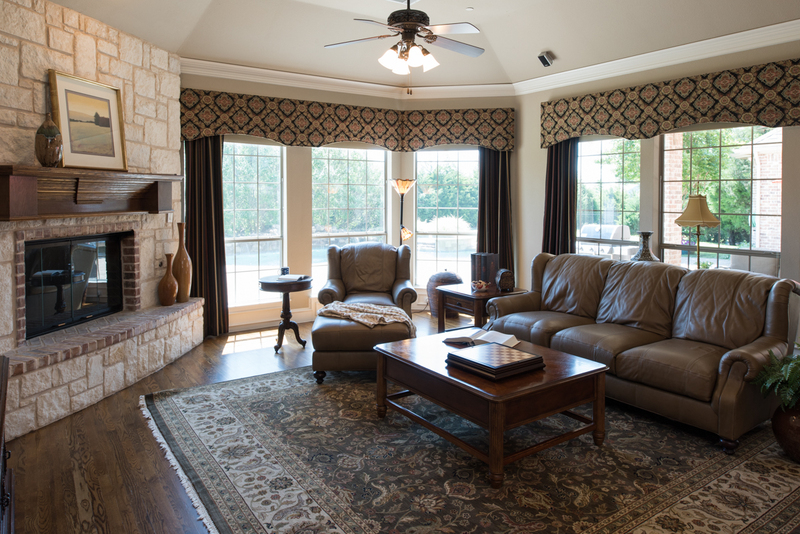 A private, main floor Master Retreat offers premium carpet and a tiered ceiling element with stylish ceiling fan, along with a large sitting area outlined with shuttered windows. 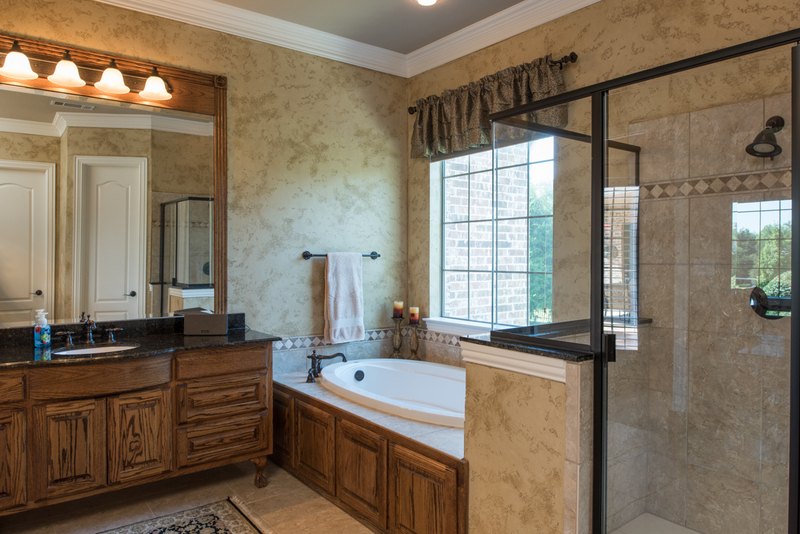 The Master Bathroom has ceramic tile floors and custom wall treatment, large double vanities with granite surfaces, and decorator plumbing and light fixtures. 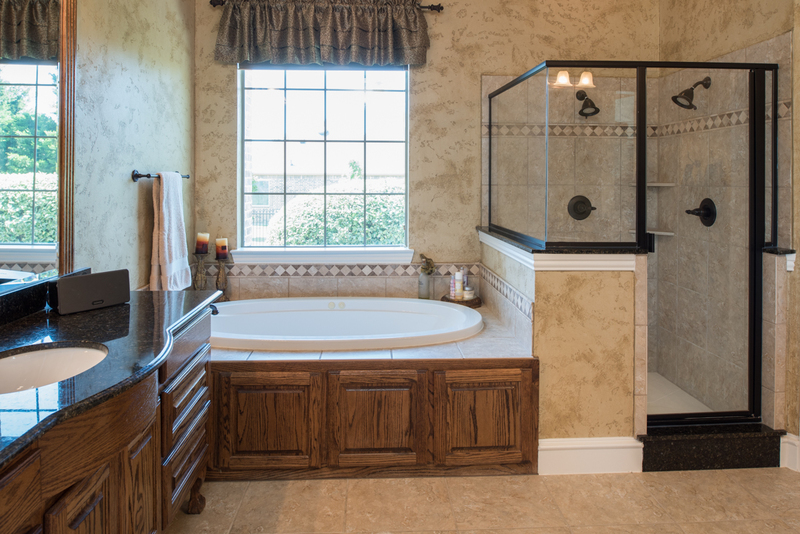 The space features a large tub with decorative tile surround and upgraded fixtures, along with a walk-in shower with upgraded tile surround with tile accents and dual shower heads. 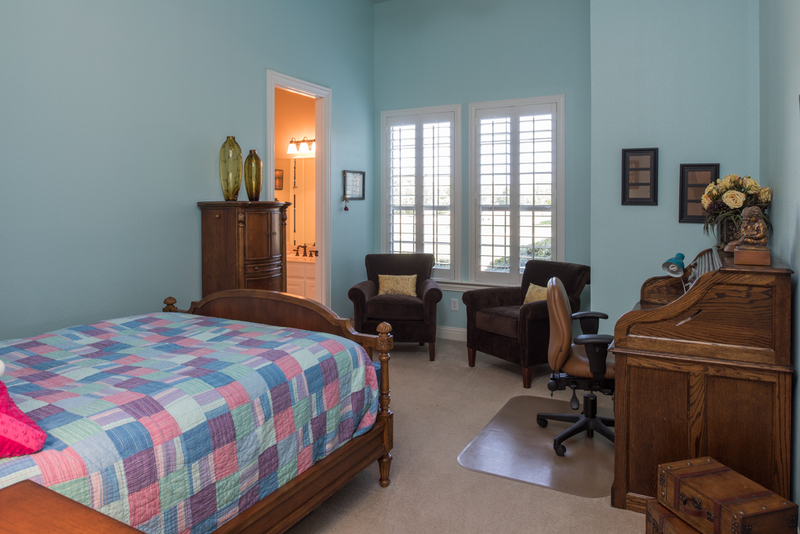 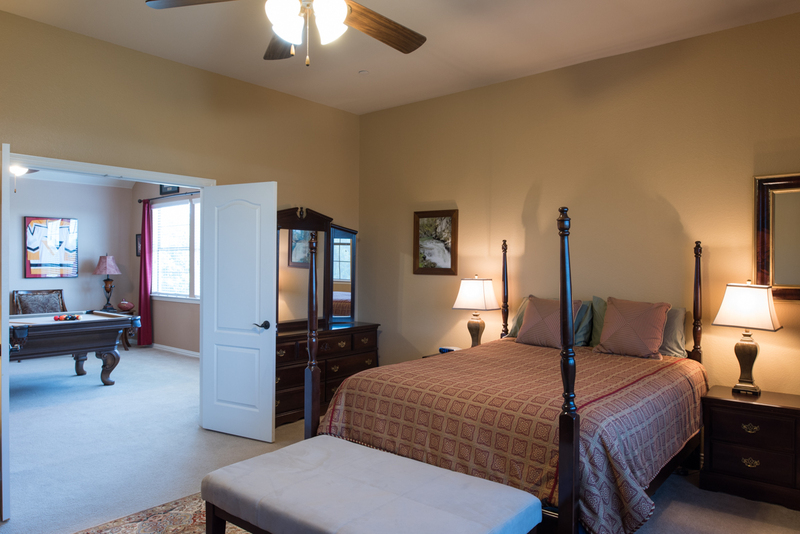 Three of the junior bedrooms are conveniently located on the main floor and offer large closets and access to Full Baths with slab surfaces and upgraded plumbing fixtures and lighting. 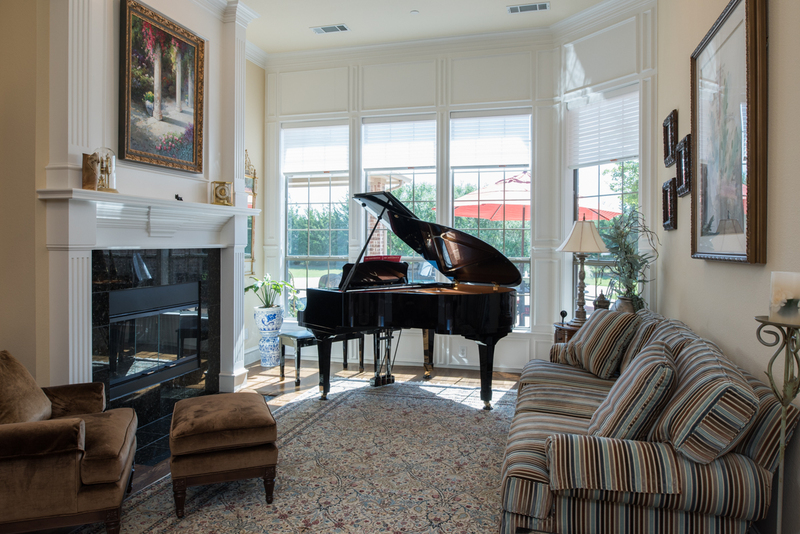 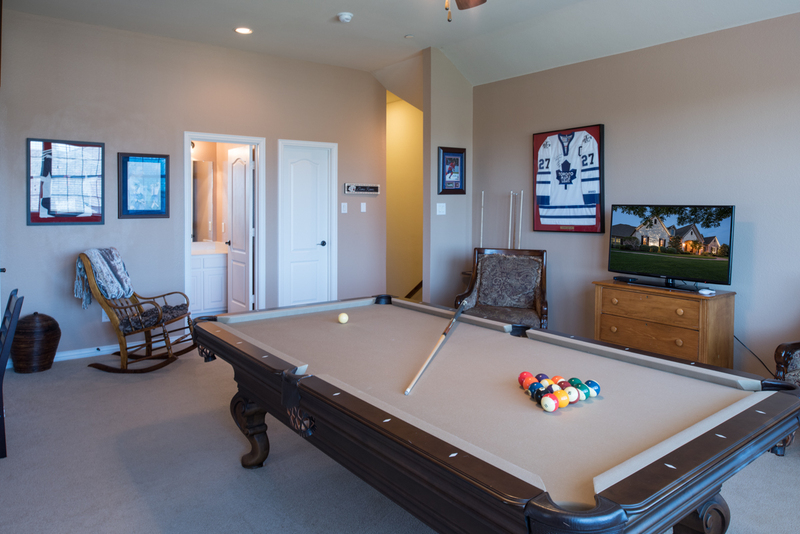 The staircase connects to the large second-floor Gameroom with premium carpet and large windows that overlook the property below. 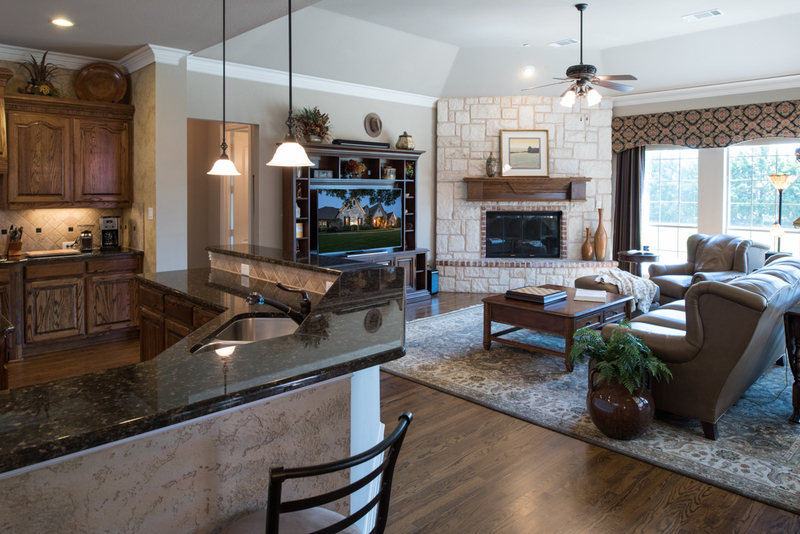 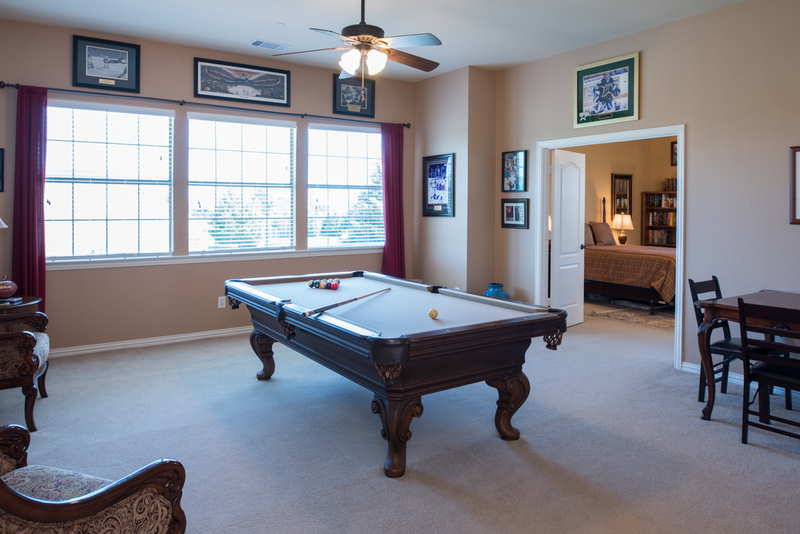 An additional large living area and full bath are positioned off the game room. 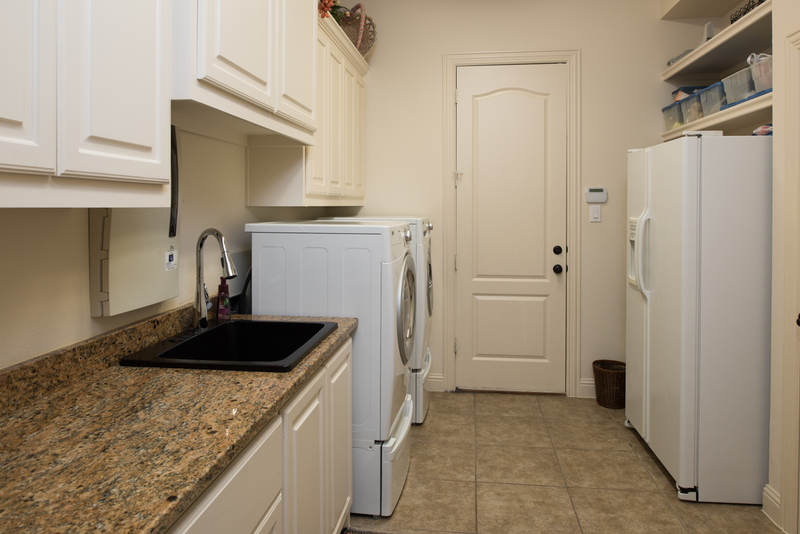 A convenient, oversized Utility Room is also located on the main floor and features ceramic tile floors and abundant storage and granite counter tops. 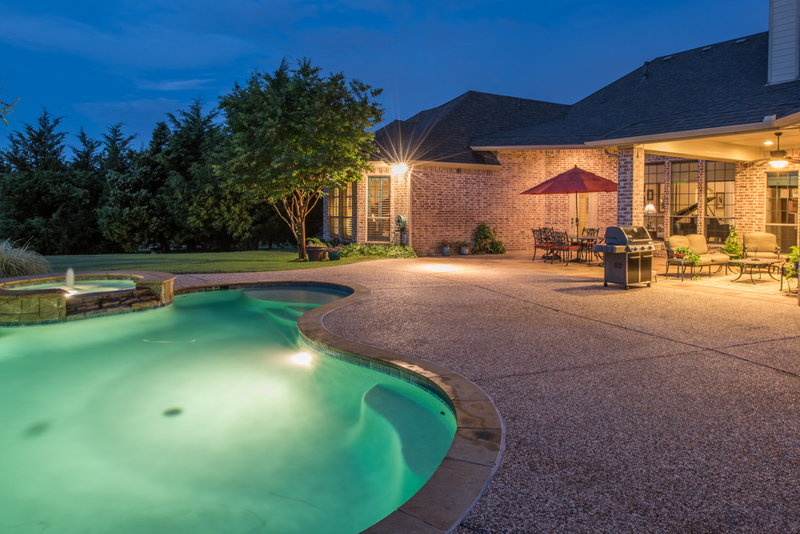 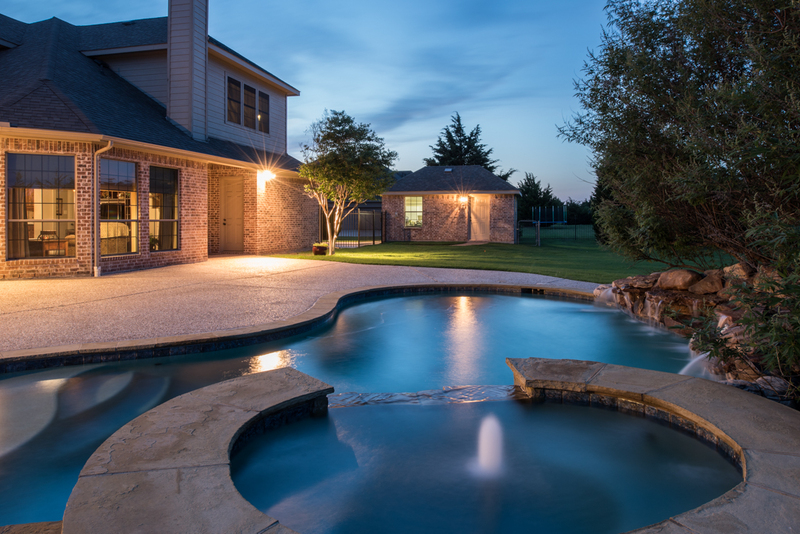 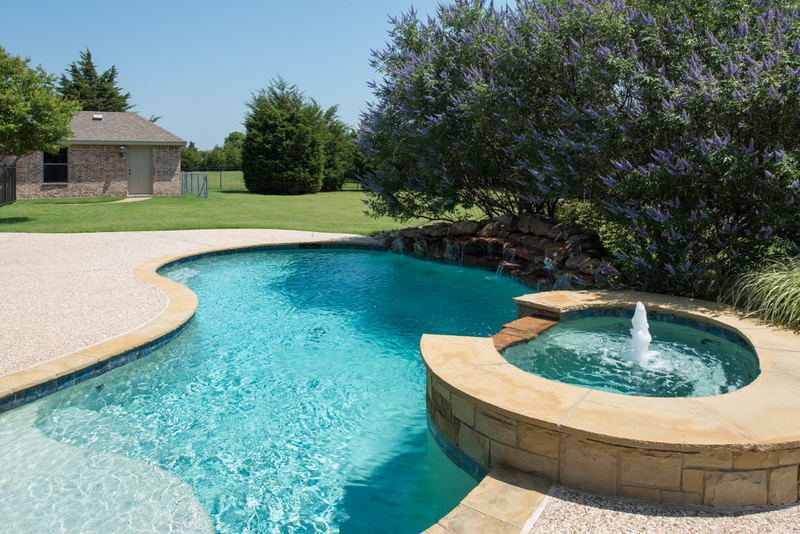 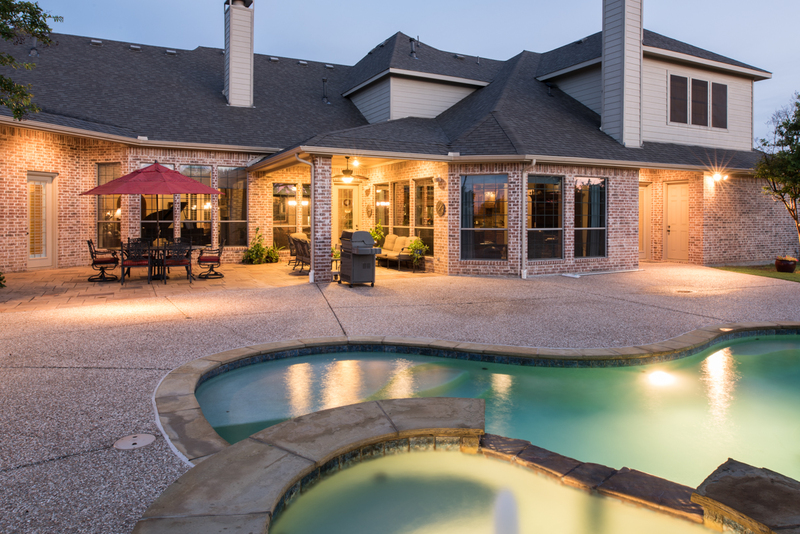 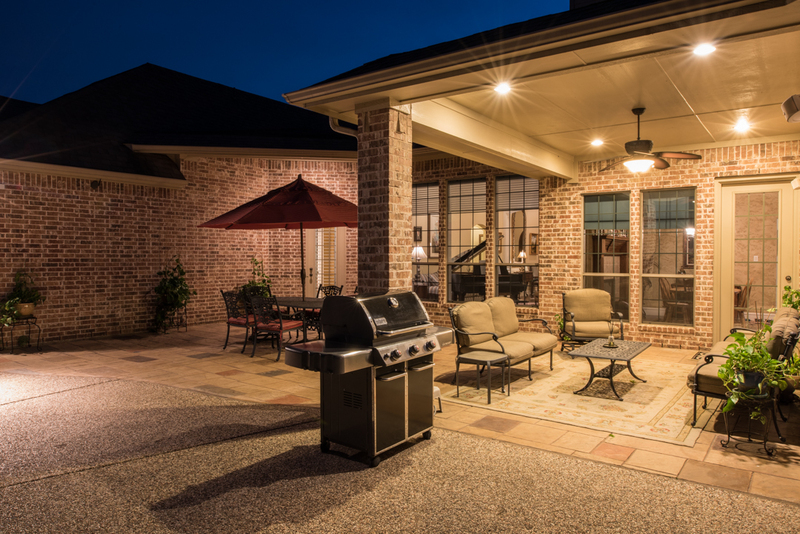 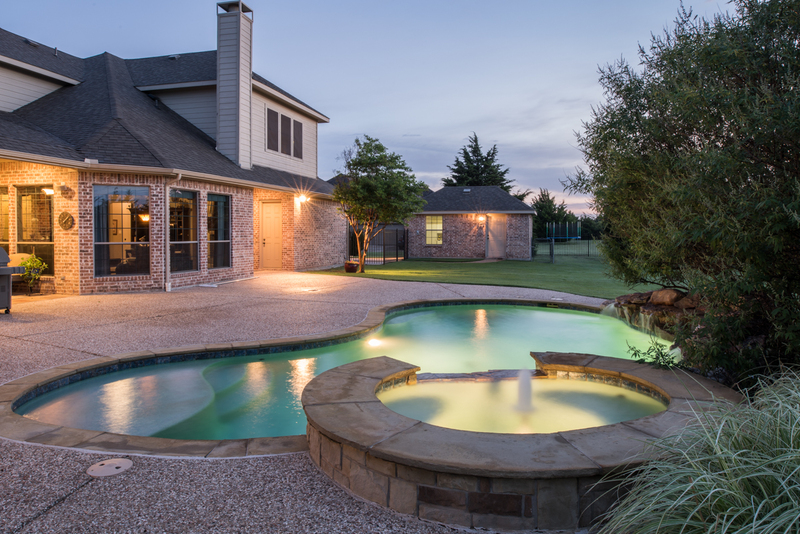 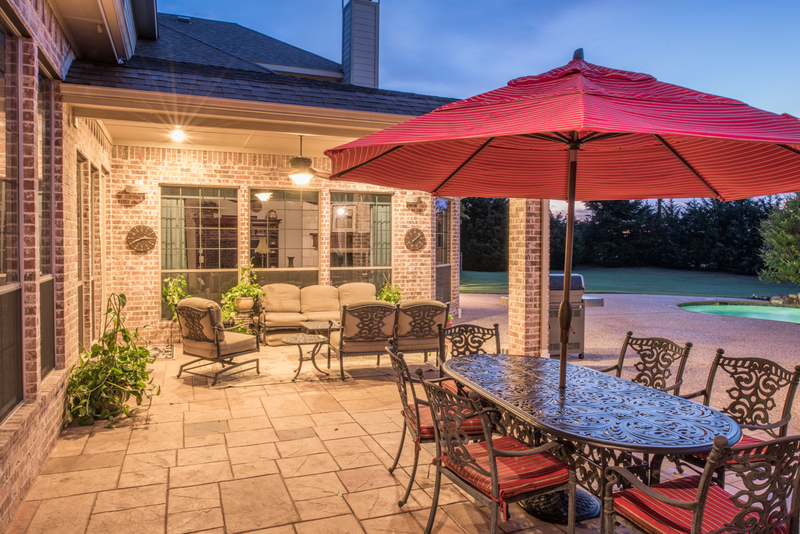 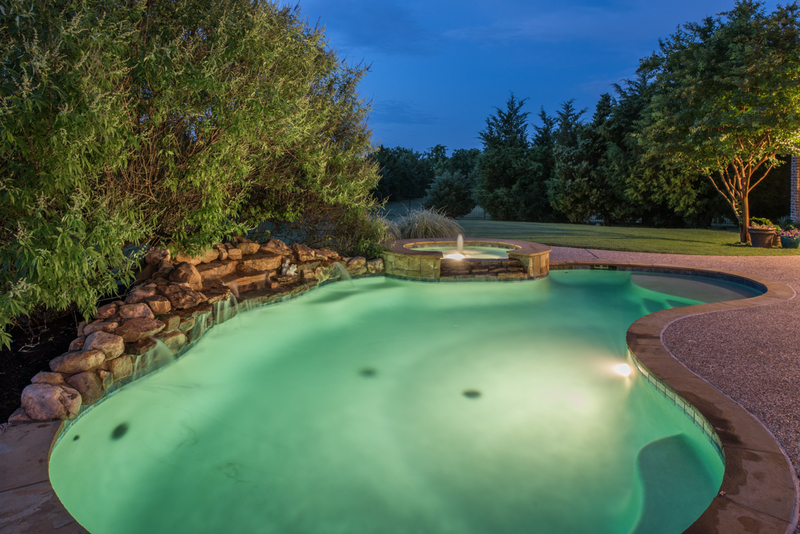 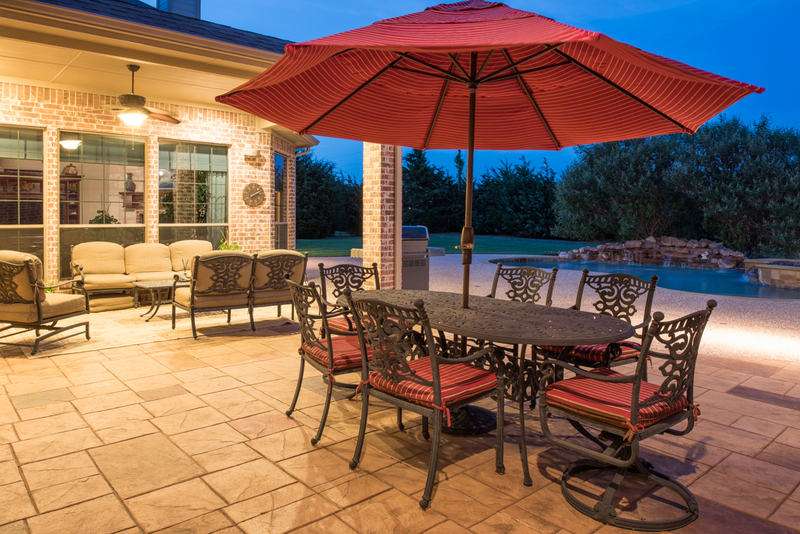 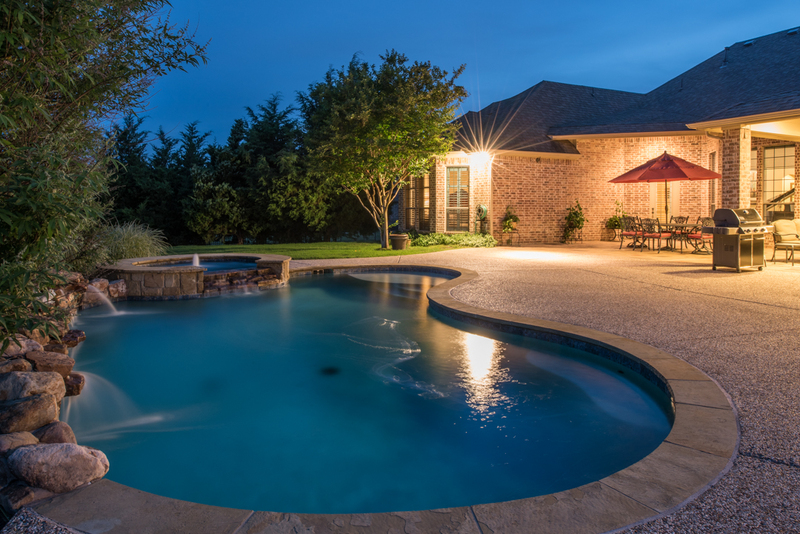 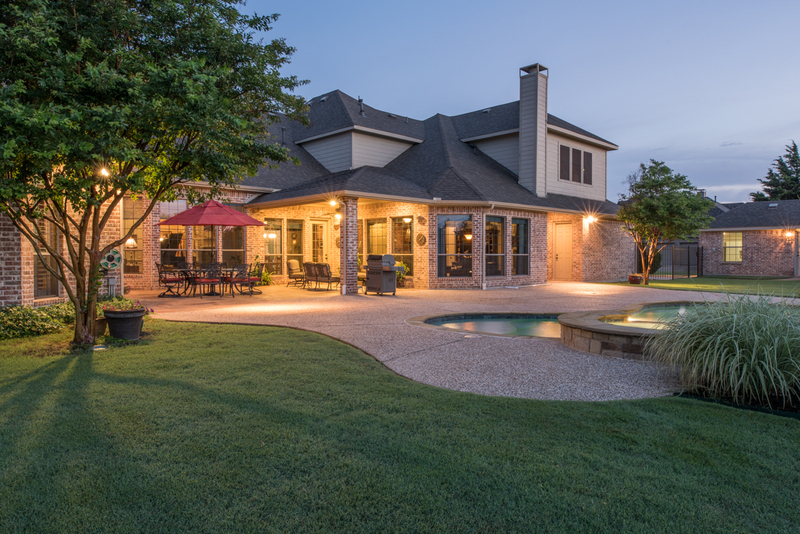 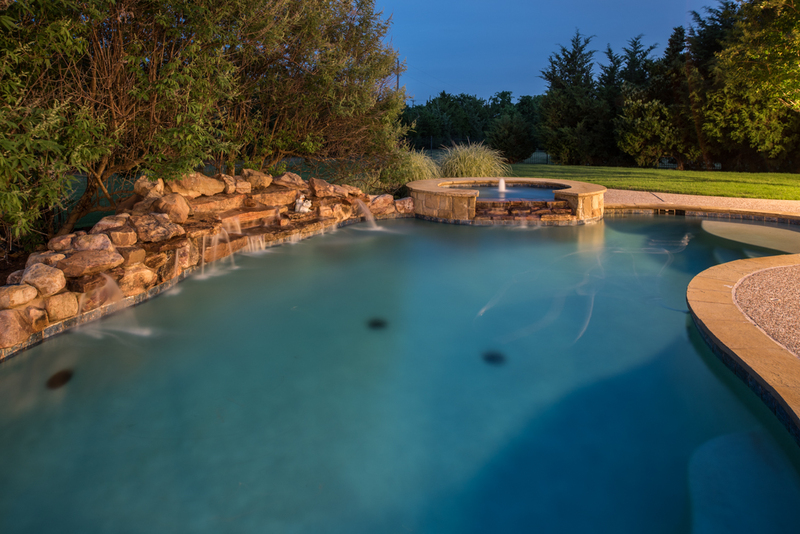 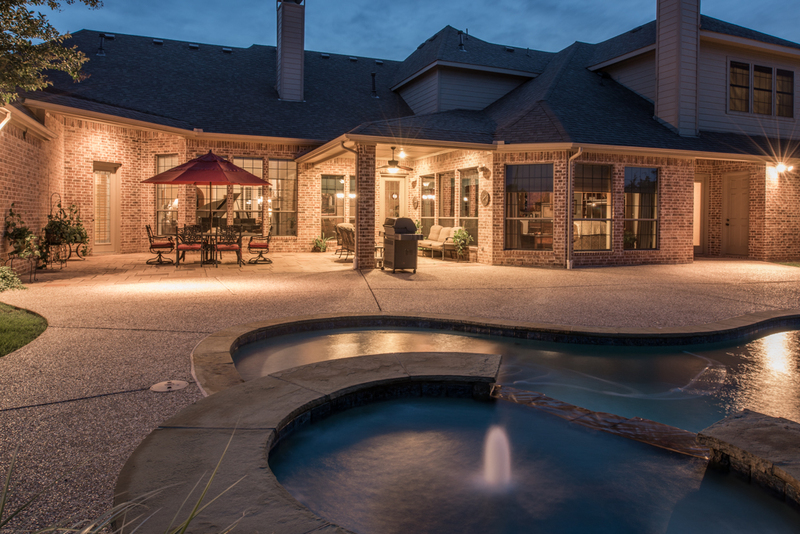 The resort-like rear property has a covered Patio with extensive stamped concrete and aggregate decking that extends around the gorgeous pool and spa. 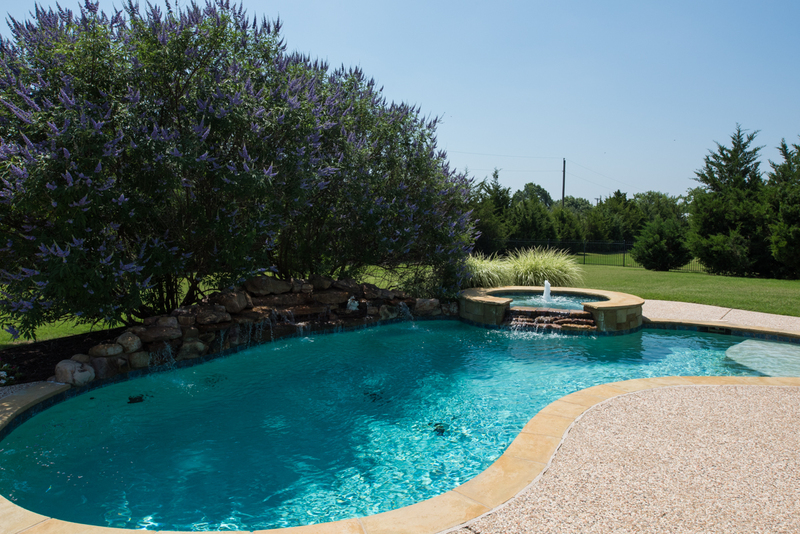 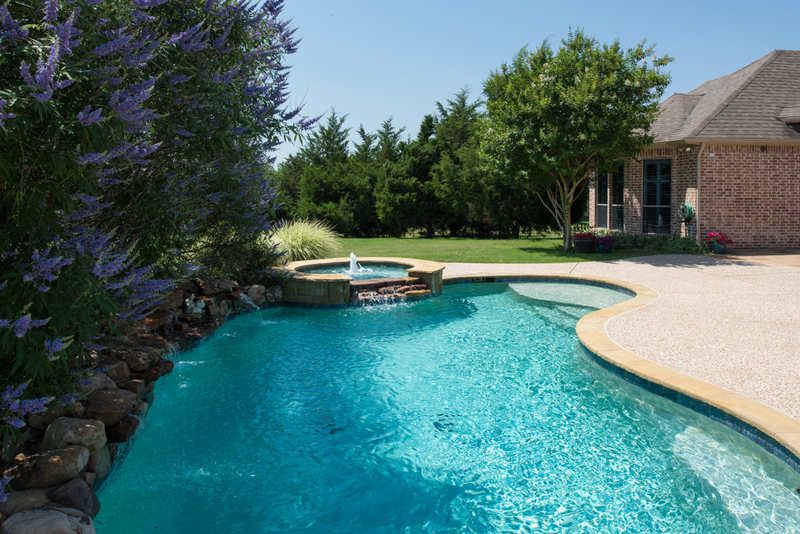 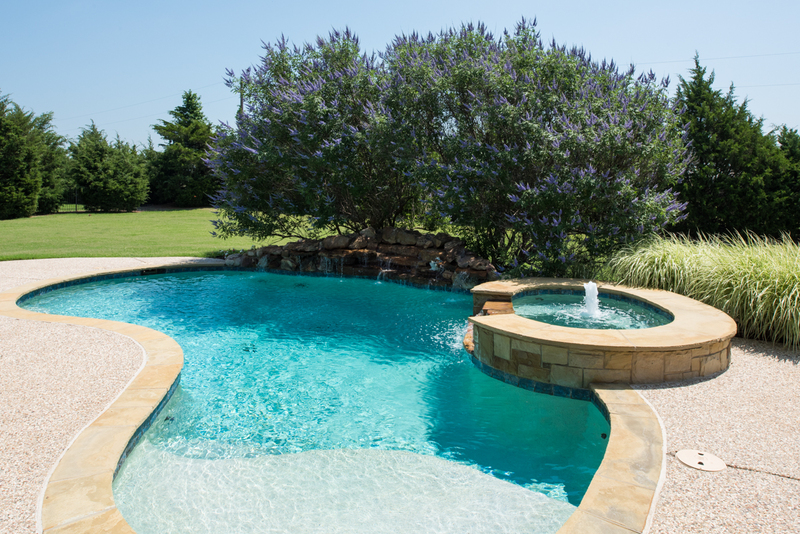 The pool and spa feature several rock water elements and are surrounded by flowerbeds filled with mature plants and foliage. 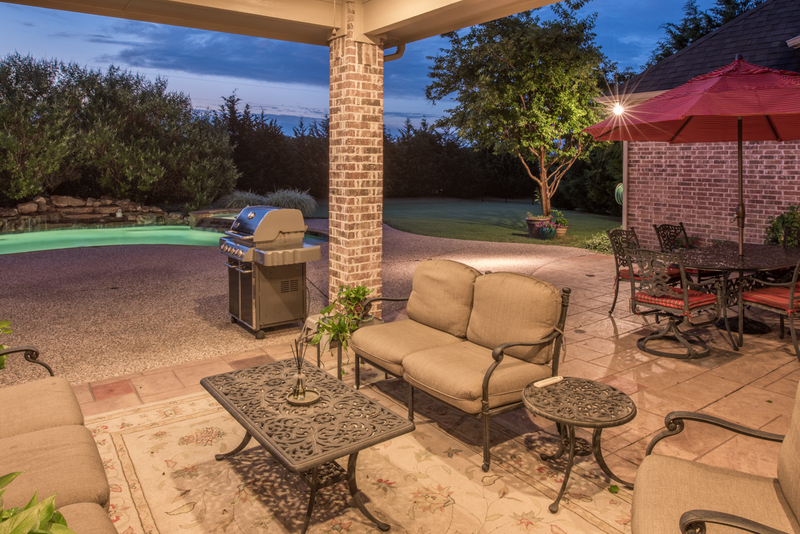 This backyard oasis with large open lawn area is surrounded by an extensive wrought iron fencing lined with evergreen and native trees.